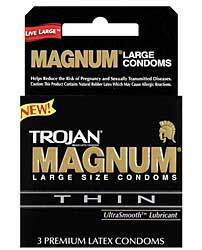 The Trojan Magnum Thin is a large size condom designed with a tapered base for a secure fit and ultimate pleasure! The condoms are made from premium quality latex. 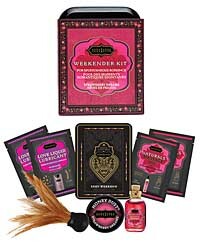 The silky smooth lubricant offers comfort and sensitivity. For extra safety, there’s a special reservoir tip. Each condom is electronically tested to help ensure reliability. There are 3 condoms per pack. Go big and go safe!